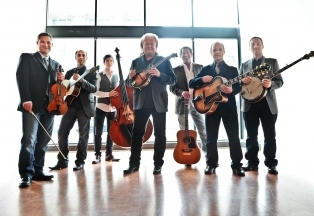 Ricky Skaggs struck his first chords on a mandolin over 50 years ago. Now this 14-time Grammy Award winner is doing his part to lead the recent roots revival in music. With 12 consecutive Grammy-nominated classics behind him, all from his own Skaggs Family Records label, the diverse and masterful tones made by the gifted Skaggs come from a life dedicated to playing music that is both fed by the soul and felt by the heart.